I have lectured at over forty events and festivals across the country, and have prepared over a dozen DVD/Blu-ray bonus programs, examining the locations and history hidden in the background of classic silent films. A short segment from the Locations and Effects 2013 documentary with Academy-Award winning effects supervisor Craig Barron and the author filmed for the Criterion Collection release of the Safety Last! Blu-ray. Here is a brief intro to my 16 minute visual essay Harold Lloyd: Big Man on Campus, that looks at the college and football locations appearing the Criterion Collection Blu-ray release of The Freshman. My talk about The General at the Academy of Motion Picture Arts and Sciences 2011 Summer of Silents series is posted here. My talk about The Pilgrim and Modern Times at the Santa Clarita Valley Historical Society’s 2011 ChaplinFest, from within the very train station where Chaplin filmed The Pilgrim, is posted below. Further below is the site of the Modern Times finale on Google Maps. 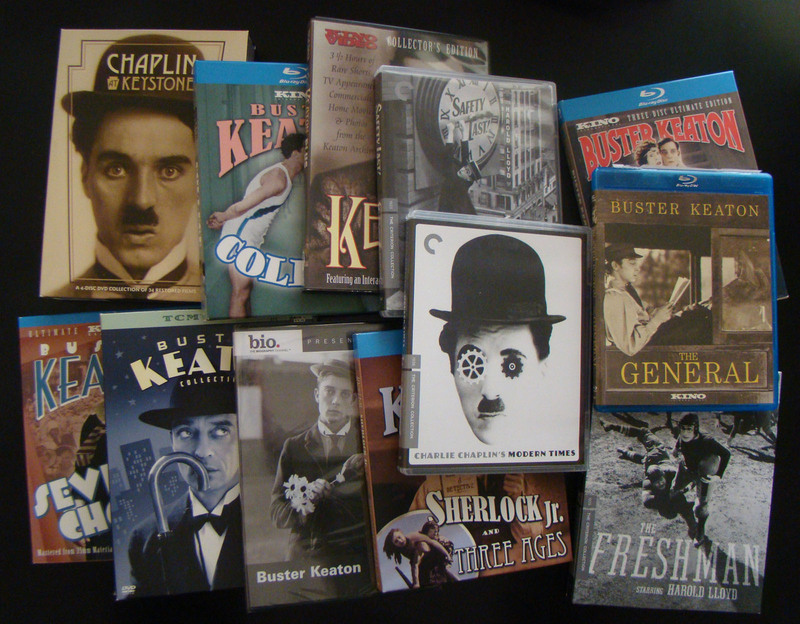 I have provided commentary, visual essays, and/or location tour programs to each of these Buster Keaton, Charlie Chaplin, and Harold Lloyd DVD and Blu-ray releases. 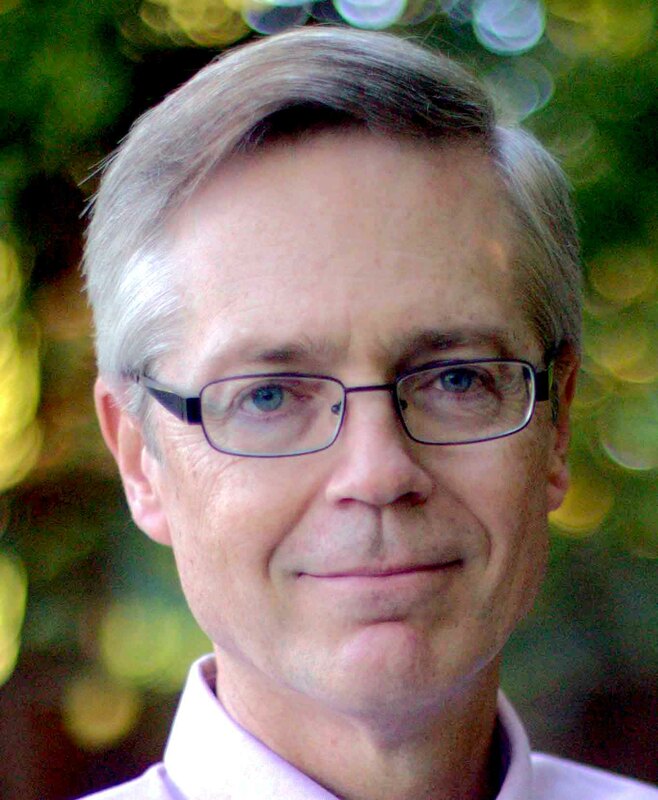 John Bengtson is a business lawyer and film historian whose books Silent Echoes, Silent Traces, and Silent Visions explore the early Hollywood history hidden in the background of the films of Buster Keaton, Charlie Chaplin, and Harold Lloyd. John’s work has been hailed by the New York Times as a “Proustian collage of time and memory, biography and history, urban growth and artistic expression.” Each book features a foreword by Academy Award winning film historian Kevin Brownlow. Bengtson has lectured at over thirty events hosted by the Academy of Motion Picture Arts and Sciences, the Turner Classic Movie Channel Film Festival, Cineteca di Bologna, Film Forum and The Museuem of the Moving Image in New York, USC, the American Cinematheque and Cinecon Classic Film Festival at the Egyptian Theatre in Hollywood, and the UCLA Film and Television Archive, and has provided commentary and bonus programs for over a dozen Keaton, Chaplin, and Lloyd DVD/Blu-ray releases. John serves on the Board of Directors of the San Francisco Silent Film Festival. SFGate article John Bengtson, archeologist of early cinema. My name is Christoph Eppacher and I am a young architect doing a academic/artistic research at the moment about the connection between silent movies and architecture. I am based in Los Angeles at the moment as a resident of the MAK Schindler program. My project will focus on the observation of silent movies made and filmed in Los Angeles between the beginning in LA (Edendale) to its glorious times. What I am looking for in terms of Architecture are interesting spacial, atmospheric and also obscure – absurd configuration of spaces places, facades, objects etc. in connection to people, random accidents, mystical places…etc. It is more my personal interest and also my will and hope to find something unique in terms of architectural and artistic language in those films which I could further use or embed in a current architectural discussion. And also if you have any movies in mind which could be obviously very interesting for me as an architect. I would be very grateful If you can help me with your unique knowledge of Silent Movies. Also I would like to thank you for the great online blog and your books I will really enjoy reading them and thinking about this content a lot! Hi Christoph – thank you for your message. I’ll reply further offline, after I have had time to think about this. I have to chuckle. Do you know that the Schindler House on Kings Road appears in the background during a scene in Buster Keaton’s 1924 film Sherlock Jr.? Thank you for your quick reply; Yes I know, very funny because it is exactly the institution where I am doing this program…But I need watch the hole movie soon. My name is Bob Molee. I live in New Jersey, and I have always been fascinated with movie locations. I’ve seen the houses in Staten Island where THE GODFATHER and SPLENDOR IN THE GRASS were filmed, Woody Allen film locations, Martin Scorsese, and of course, The Sopranos. I am a Fedex courier, so you can imagine how thrilled I was to deliver a package to the actual house they used as Tony’s in the show ! It was quite surreal to walk up that driveway. Whenever I am in the Los Angeles area, I love to visit the locations where famous scenes were filmed, but I have a special place in my heart for the filming locations of Laurel and Hardy and the Our Gang comedies. I have visited the (depressing) site where the Hal Roach Studios were located (now a car dealership), and I have visited the locations where L&H filmed the house thrashing and of course, the HOLY GRAIL of locations (for me), the staircase they used in The Music Box. I absolutely LOVED your Silent Visions book focusing on the films of Harold Lloyd. What a wonderful job you did with the “then and now” photos. I can stare at the “now” photos and be transported back to those days so long ago. Your books “speak” to me in ways I can’t explain. To think, that on THIS street or in front of THAT building, legends like Harold Lloyd, Buster Keaton, Charlie Chaplin, or Laurel & Hardy performed their scenes. Do the people now living in those neighborhoods KNOW, or even CARE about the film history they live amongst ??? I’ve always been interested in the films of Harold Lloyd. Now, thanks to your new book, I want to see ALL his comedies. Allow me to share with you the excitement and amazement I felt while I was reading your Silent Visions/Harold Lloyd book…page 274, Harold filming “SPEEDY” in lower New York City. The trolley car tracks are STILL THERE !!!!!!! That’s what I’m talking about !!!! (LOL). I am disappointed that I missed your appearance in Astoria on October 16th. I would love to meet you and have my book autographed by you. When will you be back for another appearance ? Mr. Bengtson, I hope that you will do Silent Visions books on Laurel & Hardy and the Our Gang Comedies. I appreciate and respect all the hard work you have put into your books. I wish you health and happiness. Hi Bob – thank you for the kind message. Wow, that must have been really weird to deliver the package to Tony Soprano’s house! Be sure to check out the tours I have prepared for the next time you visit LA. I m a french Man who love old american And french cinema, i Went to los angeles ni 2008. It was magic for me to see the Chaplin studio, the gate of paramount studio…. Is it possible to buy the Chaplin book ….autographed by you? John @ silentechoes . net. I’m a Vancouver-based filmmaker and I’m beginning work on my fourth documentary, a film looking at the life and career of Canadian-born silent filmmaker Mack Sennett. I wanted to reach out to you to see if you would be interested in sitting down with us for a short interview to talk about Sennett’s legacy in cinema. If this is possible or I can answer any questions you may have, please send me drop me a line at sean@prairiecoastfllms.com and maybe we can set something up. if you don’t mind visiting my work of PATHé films (before 1914) in Vincennes FRANCE. Have you seen Maurice Chevalier in 1908 ! As a history/silent film buff, I want to thank you for your wonderful books of then and now. I live in Chicago where the historic Essanay Studios building still exists. It is now St Augustine College but the school board takes great pride in the historical nature of the building and does its very best to preserve and protect it. The original studio entrance is still there with the Essanay lettering still intact as well as the iconic Indian head logos on each side of it. There are still vestiges of the old studio there such as a backlot cameraman’s perch, An enormous backstage door used for bringing in big pieces of scenery, a hidden film vault in the basement, editing rooms and an original catwalk for hanging stage lights. The stage where Chaplin filmed his first movie for the company, His New Job, is also still there and is now the Charlie Chaplin Auditorium. It’s a wonderful place rich with film history. Would you ever consider a book of Laurel & Hardy or Keystone Film locations? I wish I could attend your lecture on The Great Dictator. It sounds great and I wish you all the best. Keep digging up those gold nuggets for us.